Women officers will be granted Permanent Commission in the Indian Army in all the ten branches where women are inducted for Short Service Commission. 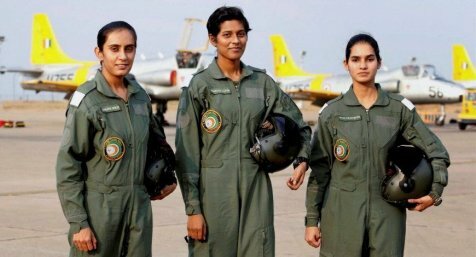 In Indian Navy all non sea going Branches have been opened for induction of women officers and so for the Indian Air Force, all Branches, including Fighter Pilots are now open for women officers. According the statement from Ministry of Defence, various steps have been taken to ensure implementation of announcement by the Prime Minister on 15th August, 2018 regarding grant of Permanent Commission to Women officers in the Armed Forces.